FuelCel Foam is a special open-cell sponge-like material which only reduces the tanks volume by about 2%. 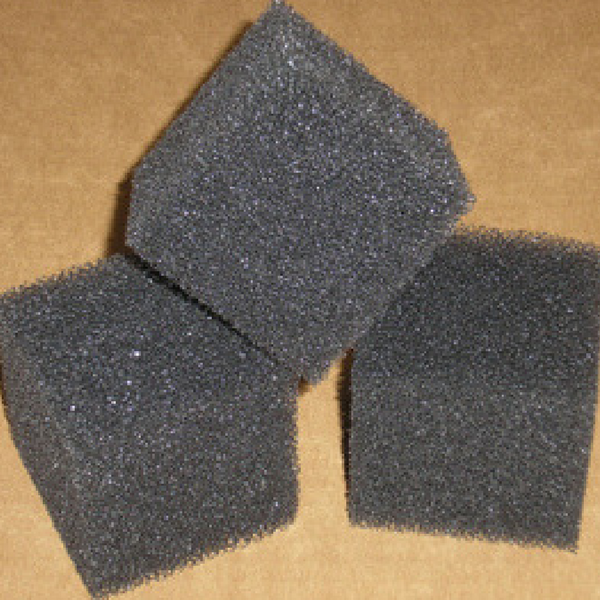 With slightly smaller porosity than other brands, FuelCel Foam controls slosh better. When used with our Kevlar fuel tanks, FuelCel Foam helps suppress explosion, absorb impact energy and most importantly, CONTROL FUEL SLOSHING. This is the same material used in military jet aircrafts for decades. Fuel sloshing in a Sportbike, Dualsport, MX-bike, ATV, Watercraft or Snowmobile is a significant factor in upsetting the center of gravity due to the violent positive and negative accelerations that are imposed during riding and especially racing. This sloshing acts like a heavy uncontrolled weight that has to be compensated by your skill and suspension system. It’s something like a liquid monkey constantly playing havoc with your handling, or like a passenger that doesn’t know how to ride on the back of your bike. With a half tank of fuel, (common for most sprint races assume 3 gallons), that’s 18.6 lbs slamming into the front of the tank when brakes are applied. Then slamming into the side after you have established your lean angle in the corners. Then slamming to the back of the tank when you hit the gas. But due to physics, that 18.6 lbs can act more like 60 lb for that initial moment the fuel sloshes to a stop at the ends of the tank! This will affect the line of travel for your vehicle. Riders report that installing FuelCel Foam gives the impression that they had their suspension done, even to the point of having to adjust their riding style because they were always making minor adjustments compensating for this fuel slosh. FuelCel Foam will enable you to ride more precise lines on the track or trail. Competitors will experience decreasing lap times. A very small investment to maximize the potential of your vehicle. You can purchase the foam at a significant discount when buying a FuelCel tank, we will even install the foam for you. If you want to fill your own tank you can purchase it in, 1, 2, 5, or 8-gallon increments. You only need to fill the tanks volume by about 75% to get the full advantage that this simple technology affords. Just take your tanks volume and multiply by .75 to find how much you need.